Follow on twitter, now see this Poll. 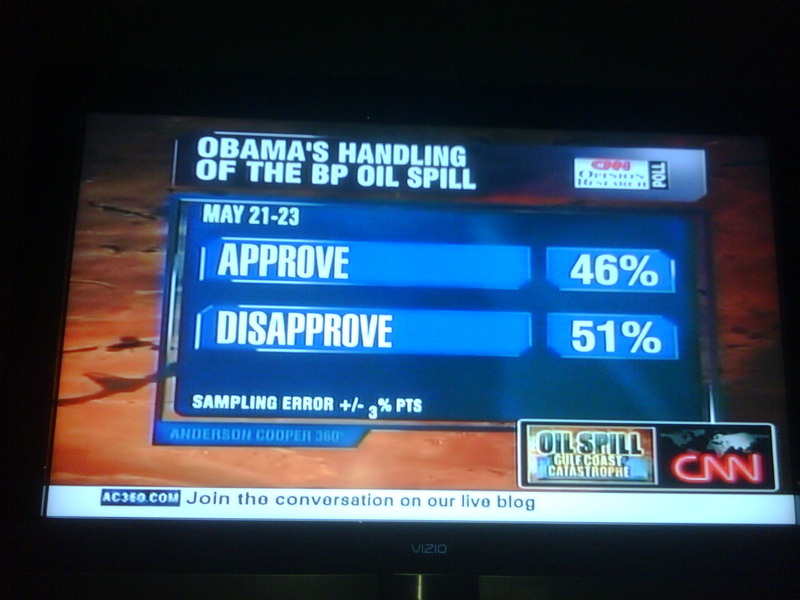 Americans 50-50 on Obama and Oil Spill. It’s still spilling!!! Previous PostFrazierHughes.com RunningNext Post@HughesNews: Need A Job?